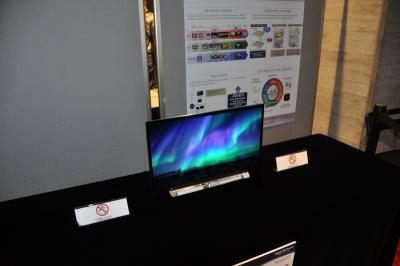 Yesterday we posted on a new OLED monitor, the Asus ProArt PQ22UC with a 21.6" 3840x2160 (204 PPI) OLED panel. It turns out that this panel is produced by JOLED. This is very interesting news. JOLED indeed announced a few weeks ago that it started commercial production of 21.6" ink-jet printed 4K OLED panels, and it is great to see a product launched so quickly. 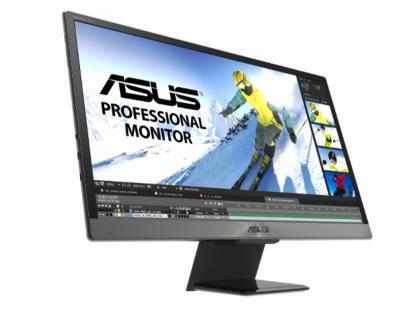 JOLED's production capacity is not large, the company is still using a pilot-scale line, but it's likely that Asus is not expecting to sell many units of this high-end OLED monitor. In any case it will be interesting to know the price of the monitor - JOLED is using an ink-jet printing process which should lower the cost of production. Of course using a pilot-line means that volumes are low and unit prices are much higher compared to a real mass market production line. JOLED is now seeking to raise $900 million to support its plan to start mass producing OLEDs in 2019. According to reports, JOLED received funding commitments from Sony and Panasonic, with both Sumitomo Chemical (who supplies its P-OLED materials to JOLED) and Screen Holdings (who supplies its equipment to JOLED) are likely to take part in the financing round as well. Each of these four companies will invest between $45 to $90 million. Automobile parts maker Denso is considering a $440 million investment in JOLED as well. For more information on JOLED's technology click here.